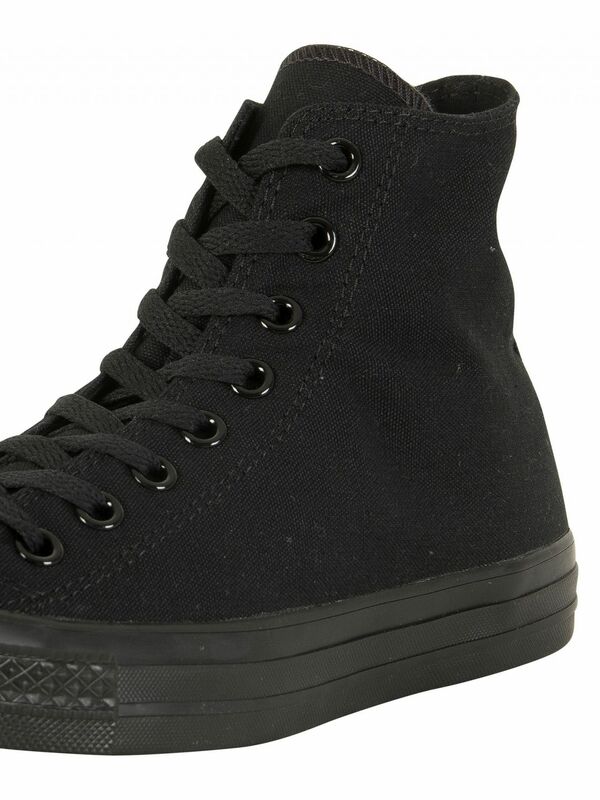 The Taylor Hi Trainers from Converse showcase a round toe cap, two perforations to the side and front lace up fastening with seven metal eyelets. 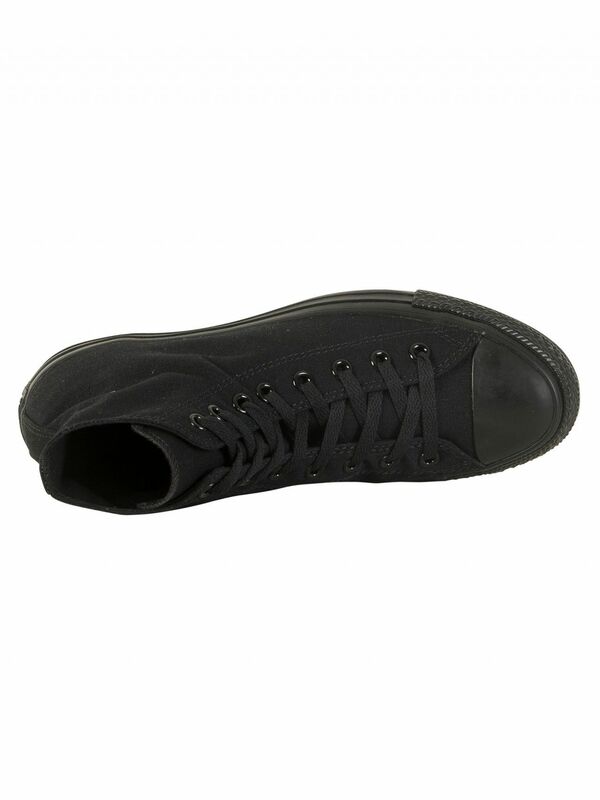 The trainers for men feature flat laces and round-shaped brand logo tab to the side of the ankle. 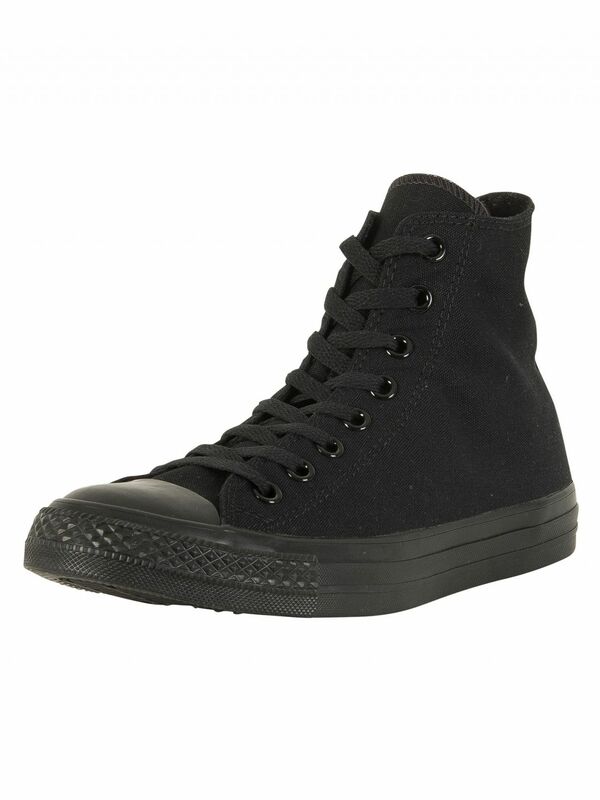 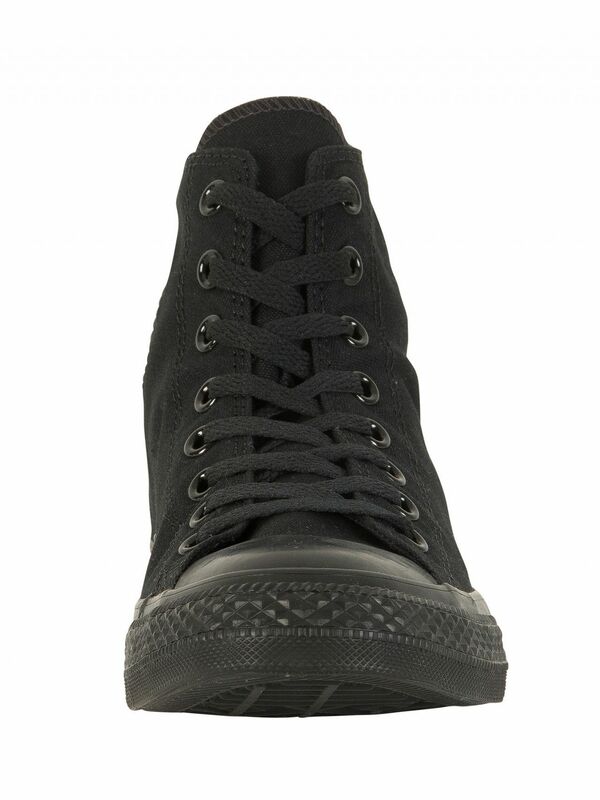 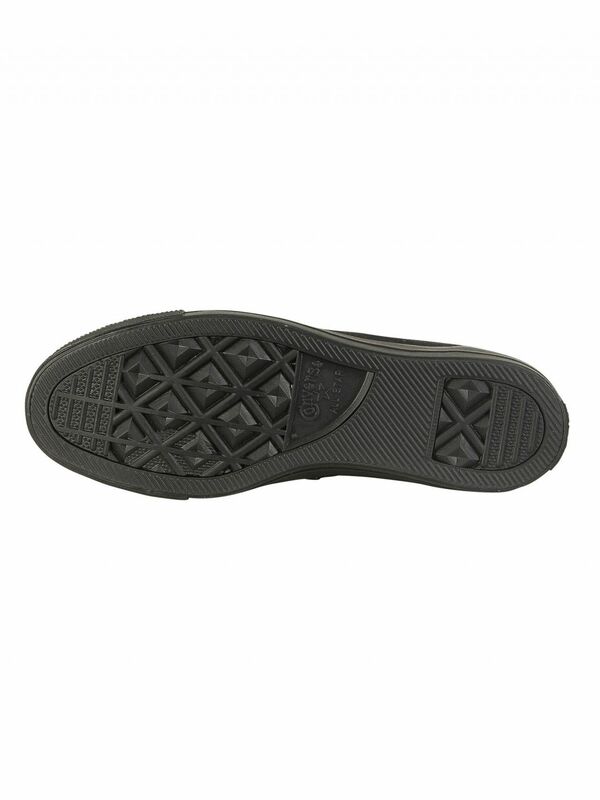 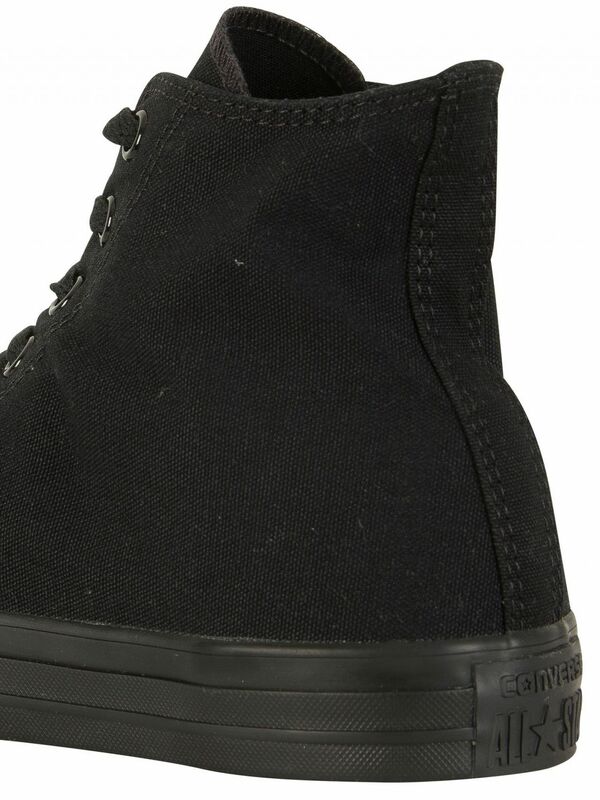 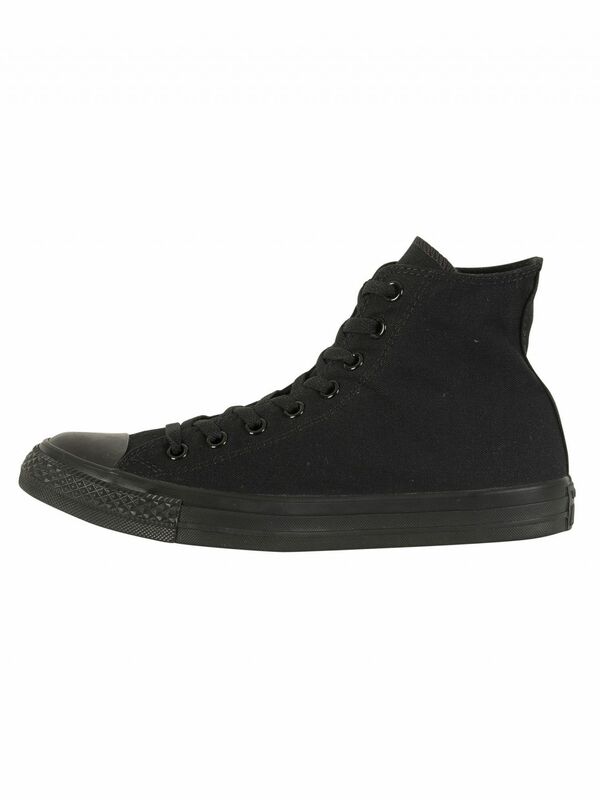 With high ankle length collar these trainers in black/mono also feature rubber outsole and canvas upper. 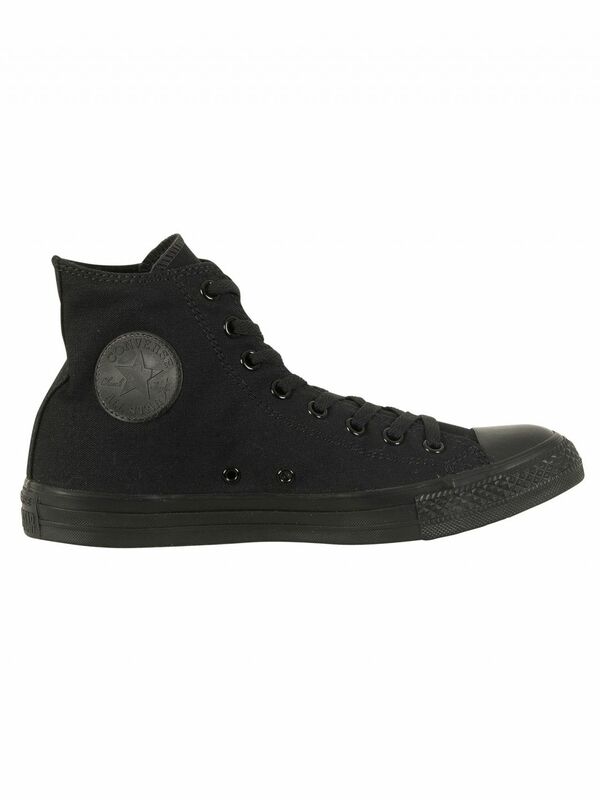 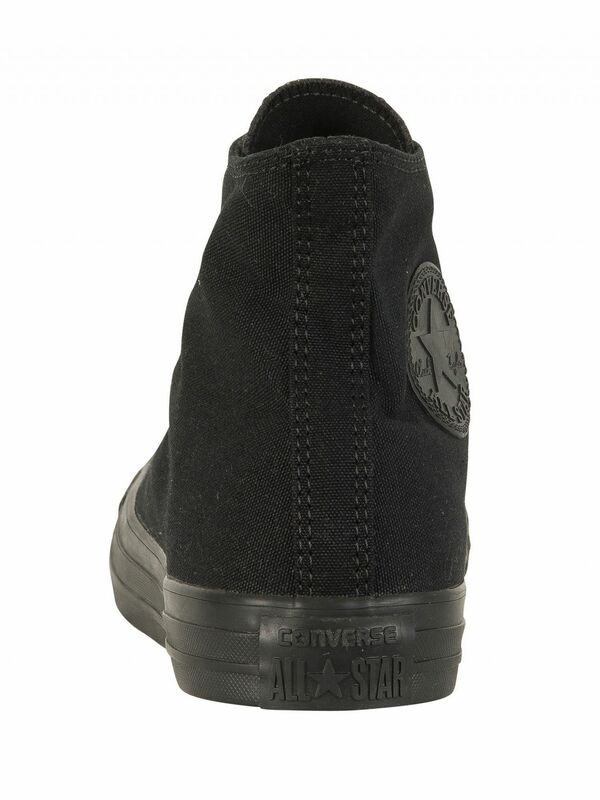 They also have brand logo tab embossed to the back heel.